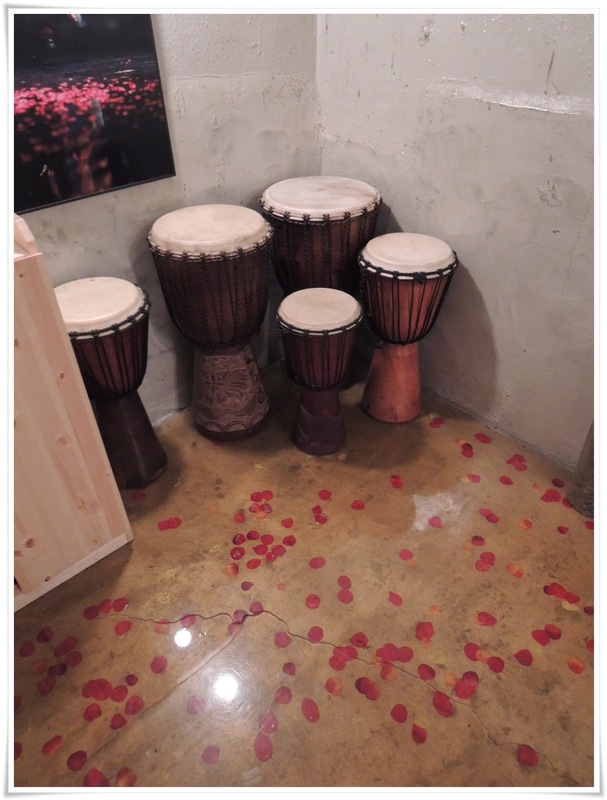 Such pretty voice Yesung has and such a pretty cafe'. 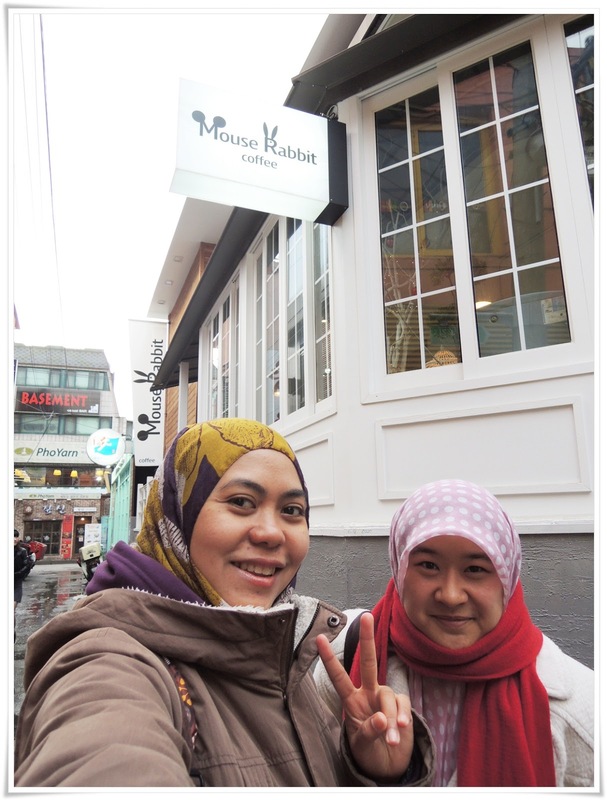 Thanks to Feia's suggestion, we went to Yesung's Mouse Rabbit Cafe' after visiting Seodaemun Prison on a bright snowy day. Wait...the cafe' and the prison are not related by all means. Don't get me wrong. 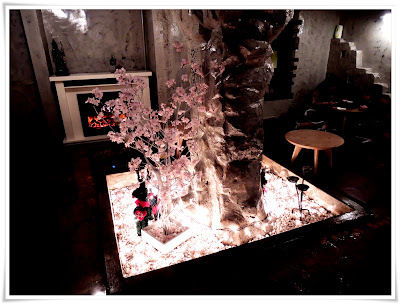 The location might not be so classy like Apgujeong or Sinsadong but the cafe' speaks for itself. Once I'm inside, I didn't want to leave. The basement has a fireplace (not real) and rose petals covered floor. Such a detailed man. Feia told me Yesung personally threw in the idea for the interior design of Mouse Rabbit Cafe'. Anyway, what is it with that cute name for a cafe'? Aigoo...such a cutie. There was no sight of Yesung but I saw two elderly managing the counter. They could be Yesung's parents, no? Another two young ladies were helping them. Maybe they are his relatives. If Yesung was the one taking our orders, I could be out of my mind. Thank gawddddd...hehe. 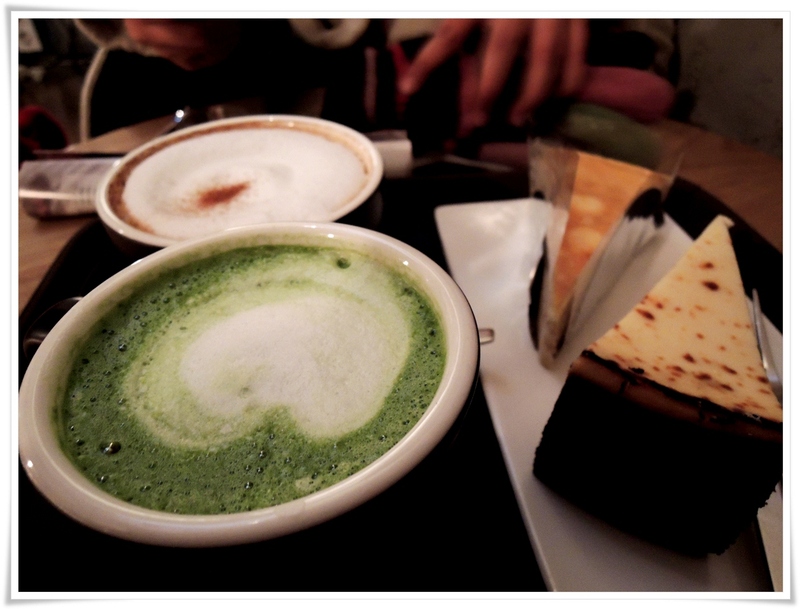 Cappuccino, green tea latte, Crepe and marble cheese cake. Thanks Feia for this delicious treat!! 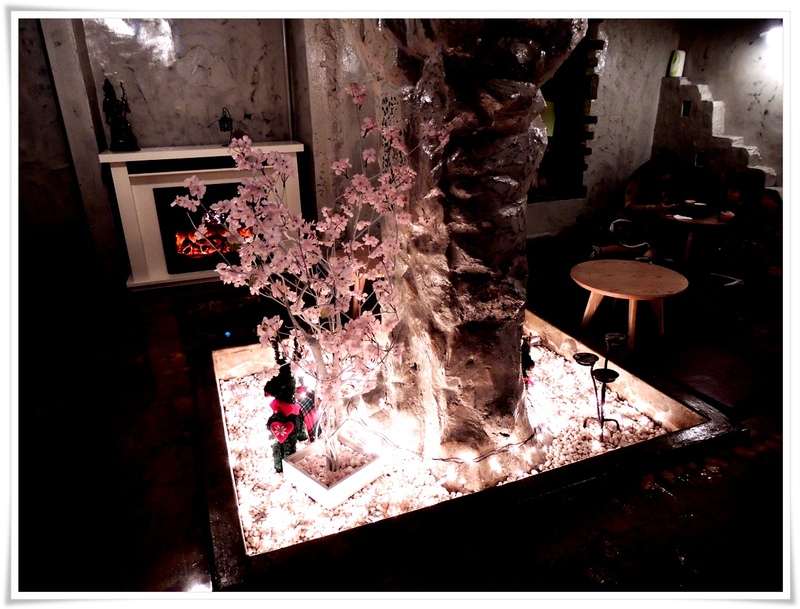 As usual, I had my cappuccino, nothing too great but I kept raving about the ambiance to Feia. I hope she didn't get bored due to my relentless compliment on Yesung. How to go to Mouse Rabbit Cafe'? 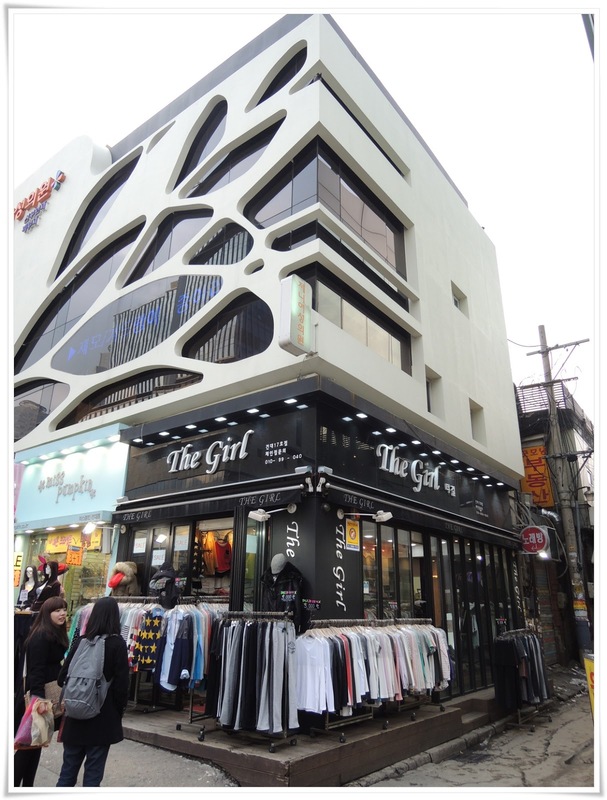 Go to Konkuk University Station (건대입구역), Line 2 or 7, get out from exit 2, walk towards your left and go straight. The cafe' is after you pass three alleys on your left. 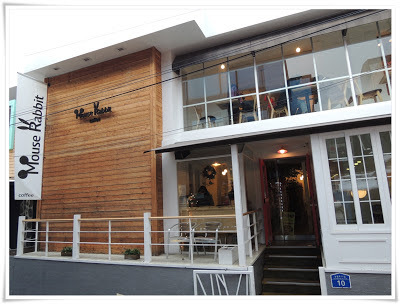 walk through this alley and Mouse Rabbit Cafe' will be about 10 meters away. 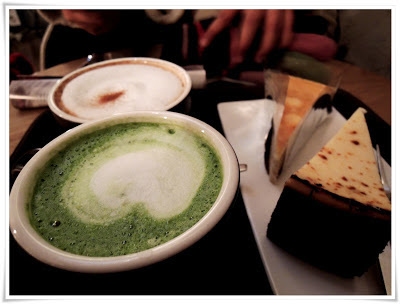 This Naver blogger: Woni, caught Yesung in action at Mouse Rabbit Cafe'. She's so lucky!